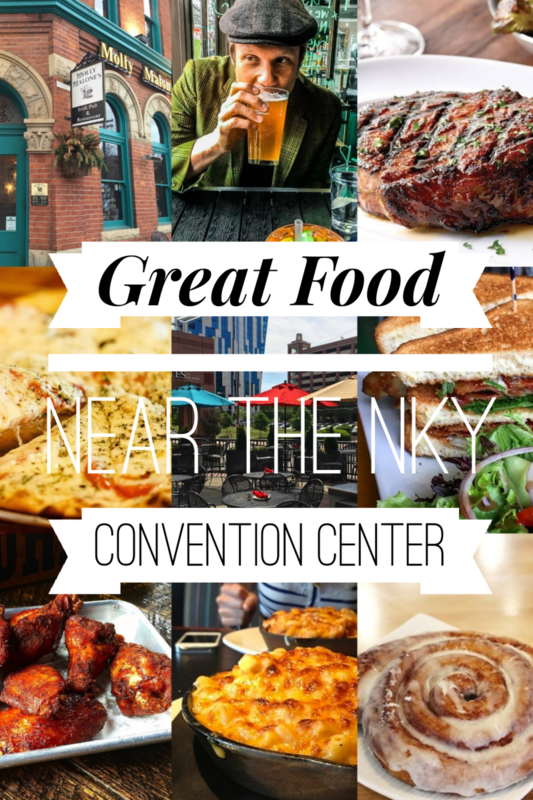 During a busy day at the Convention Center, you may not want to go far to grab a bite to eat. Have no fear, we’re here to tell you about the delicious options within walking distance! Located in the PiAzza at RiverCenter, Biscuits to Burgers is the perfect place to go if you’re craving breakfast food or a delicious burger. Biscuits and burgers aren’t all they have though, try a side of their homemade chili and finish up with their mouth-watering glazed donut milkshake. Biscuits to Burgers is an excellent choice for any time of the day. Need something on the run? Create your own salad, grab a hot cup of soup or their “Incredi-bowl” acai bowl at Butler’s Pantry, the second restaurant in the PiAzza at RiverCenter. Baked goods such as muffins, bear claws, and fruit tarts are made from scratch daily with the finest ingredients and the utmost care. Don’t forget your morning coffee! 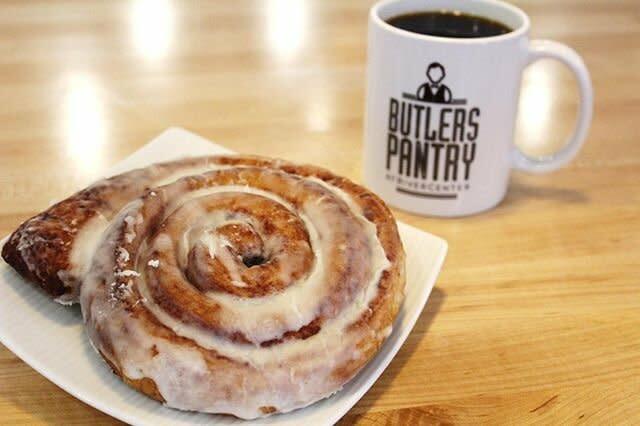 Butler’s Pantry has that too. 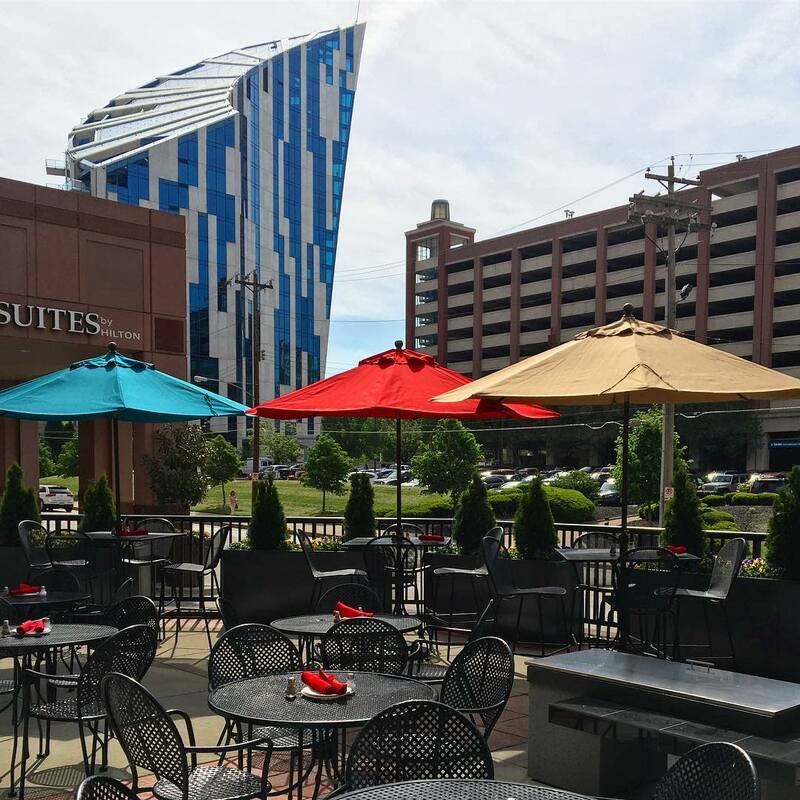 Sit down, grab a cocktail and enjoy your meal out on the patio at FIRE, another one of the great restaurants at the PiAzza at RiverCenter. Split their seven-layer dip with the table, indulge in Carolina Style ribs, or keep it simple with a burger, FIRE has something for everybody. The Three Billy Goats have passed the troll and landed in Covington! The Gruff offers a full bar, tasty brick oven pizzas, salads and sandwiches in a fun, creative atmosphere right under the Roebling Bridge. If you need something quick to go, they also have a market with snacks and a deli. If you’re here on a weekend, don’t miss out on their fabulous brunch! 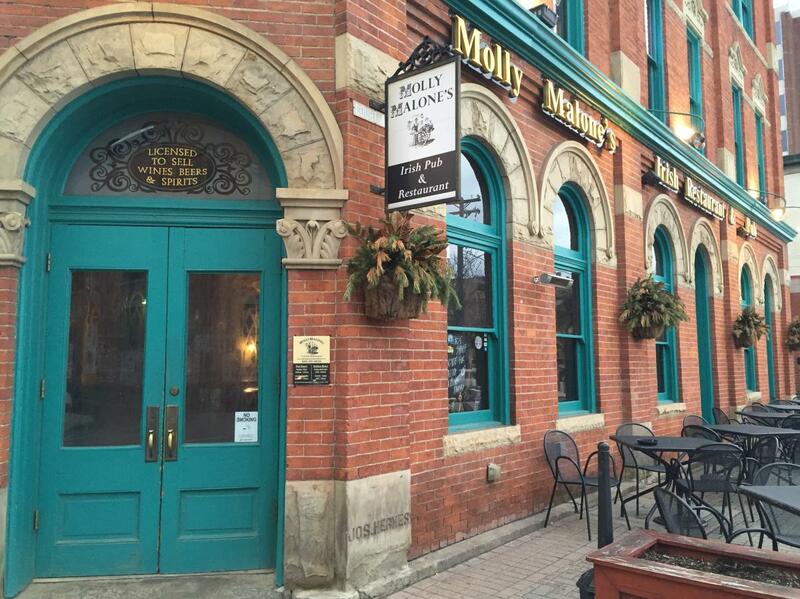 Take a load off at Molly Malone’s, an authentic Irish owned and operated restaurant and pub in Roebling Point. Enjoy a glass of whiskey or choose from 28 craft and import beers on tap. Then dig into some Irish spring rolls and a shepherd’s pie. You won’t be leaving hungry. 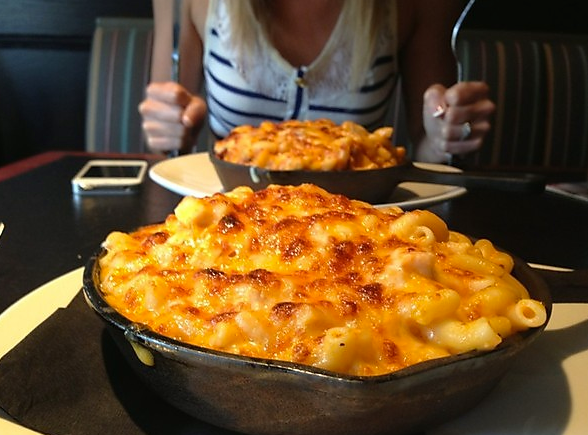 In search of the perfect comfort food? 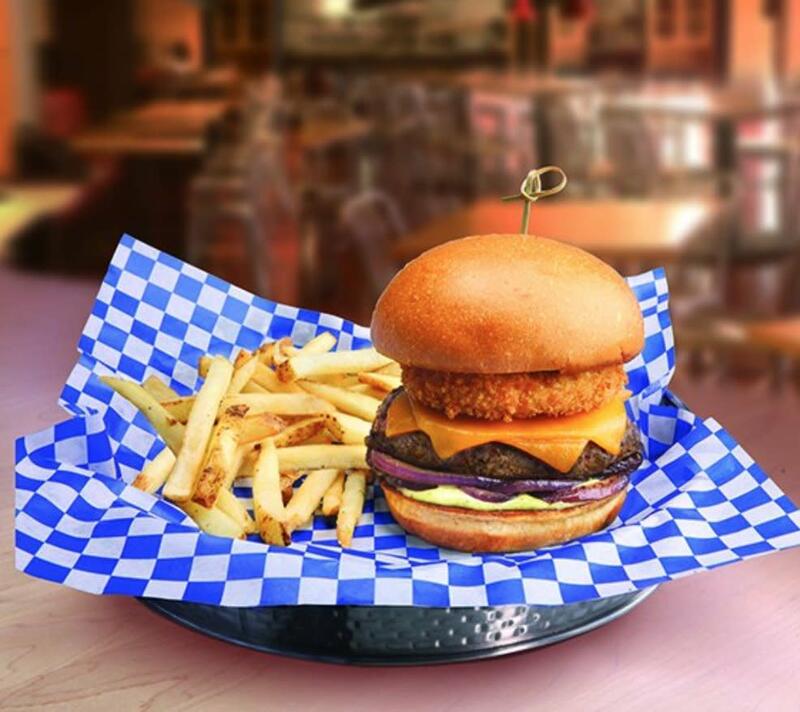 Look no further, Keystone Bar & Grill has it all. Serving up nine different varieties of mac and cheese (half-price on Mondays), burgers, wraps and more. If you want to immerse yourself in the region’s booming craft beer scene, Keystone also has a rotating draft selection and an array of bottled/canned craft and import beers. 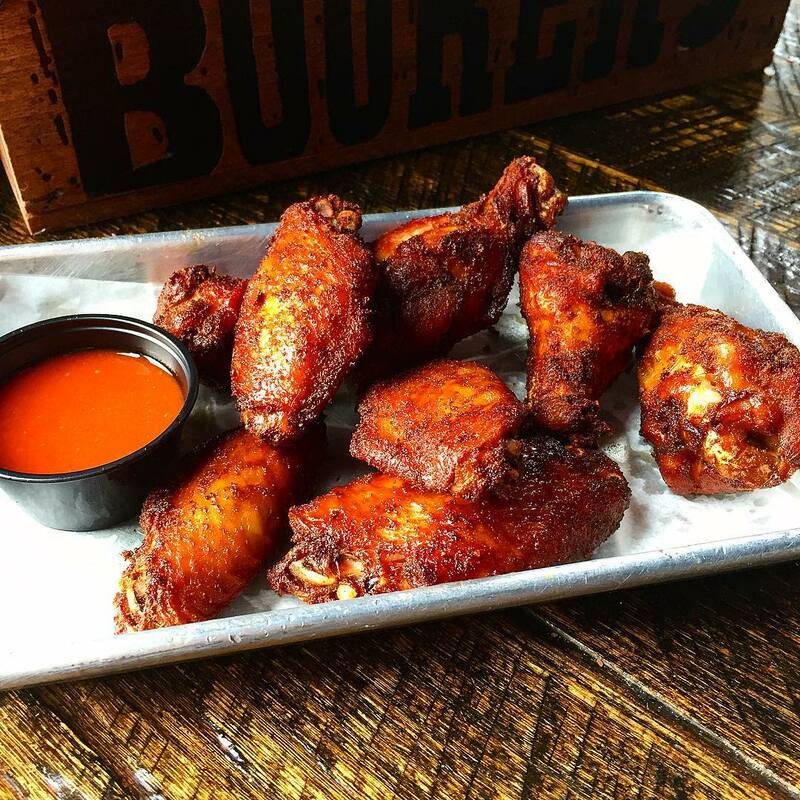 If you’re not already drooling, let’s talk smoked meats… this Covington sports bar has lots of it. If you’re not into that, check out one of their loaded potato boxes. Smoke Justis also offers a great selection of craft beer and whiskey. Stick around after dinner to play in the arcade or enjoy some live music! 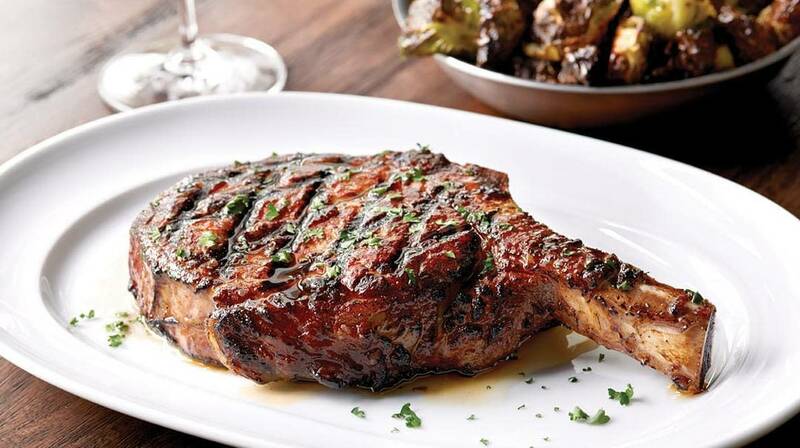 Got a hankering for a juicy steak? You&apos;re in luck because Blinkers Tavern has been voted "Best Steak in Northern Kentucky" four years running! But that&apos;s not all they have--try their scrumptious seafood dishes, or one of their tasty salads, too. 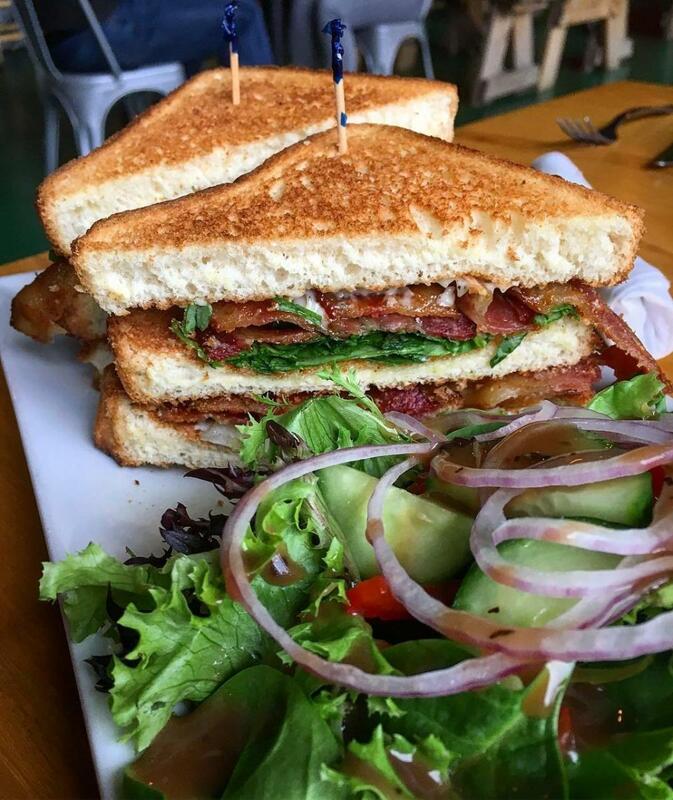 If the weather&apos;s nice, you can enjoy your meal on their charming patio, or at a sidewalk table in view of the beautiful and historic Roebling Suspension Bridge. So if you&apos;re in Covington, near the Northern Kentucky Convention Center, try one of these foodie favorites to satisfy your appetite. Craving breakfast food? Spicy appetizers? Mouthwatering pastries? Some of the best steak in the Cincinnati area? We have all of that and more! Sydney's mix of enthusiasm, energy, and fun helps bring every event she helps plan, and every press release and blog article she writes to life. From The B-Line stop Boone County Distilling Co. in Independence, KY to Findlay Market in Over-the-Rhine in Cincinnati, she loves showing visitors the highlights of our region. 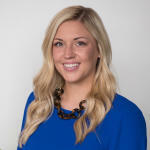 Another craft beer fan on the Marketing team, you might bump into her at one of the more than 37 breweries in the NKY and Cincy region.